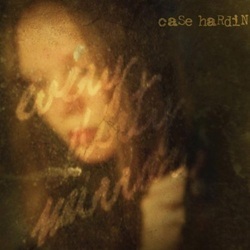 I thought Case Hardin’s first album, the 2008 release ‘Some tunes for Charlie Spencer’ was pretty good but this second excellent offering is up by at least a couple of notches. Whilst the outstanding vocals and harmonies will always get generally favourable comparisons to bands such as the Jayhawks my feeling is that this album has so much variety and quality of songwriting that bands such as the aforementioned probably couldn’t make an album this good! The band consists of Pete Gow who as well as writing all of the songs, handles most of the lead vocals, guitar and harmonica, Jim Maving is on guitar and vocals, Tim Emery, bass, banjo and mandolin, Andy Bestow, drums percussion and accordion and finally Adam Kotz on mandolin, banjo, guitar and vocals. Their sound has a relaxed looseness that can only be attained by being comfortable with fellow band members all having the same vision of where the songs should go. Pete Gow’s vocals have always been, not only strong, but incredibly expressive and full of feeling and the band harmonies are able to range from the perfect smoothness so evident in 1970s country rock to the slightly discordant edginess on the songs that require a harder feel. The playing is always excellent, with variety in the instrumentation always keeping the sound interesting. Many of the melodies are incredibly catchy and perfectly suited to the lyrical content, which when blended with Pete’s highly evocative vocals makes this bands all round quality difficult to surpass. Good albums should have the ability to stir the emotions of the listener and although all too few manage to achieve this, ‘Every Dirty Mirror’ manages to do so with every song. Pete Gow has a highly literate writing style, meaning that all of the stories hold the attention, giving him the opportunity to write gorgeous ballads or songs of the more rocked up variety, even to the 1970s Stones evoking mid tempo rocker Old Wooden Pews. A lullaby (…. of sorts) is classic high quality 1970s country rock, which is then followed by the bluesy alt. country of Where Angels Fear To Trad with some excellent slide guitar and mandolin working well together! On the beautiful banjo driven broodingly introspective First to know Pete’s emotional vocals have never sounded better, although matched by Champeen which is a slow moody tale of a boxer,with a big sound and a nice plaintive banjo and haunting steel supported by yet more excellent harmonies. The eerily treated vocals on Are Those Really The Miles gives this ballad an edginess, whilst the gorgeous haunting steel guitar tones smooths it all out again to make it a tremendous song of contrasts. And so this excellent album goes on, with banjo and mandolin blending perfectly with electric as well as acoustic guitars. One tremendous song after the other, from gorgeous ballads to mid tempo country rockers, some bluesiness and modern day alt. country all wrapped up in a recording where there is always something a little different on the next song! An excellent album by an excellent band!